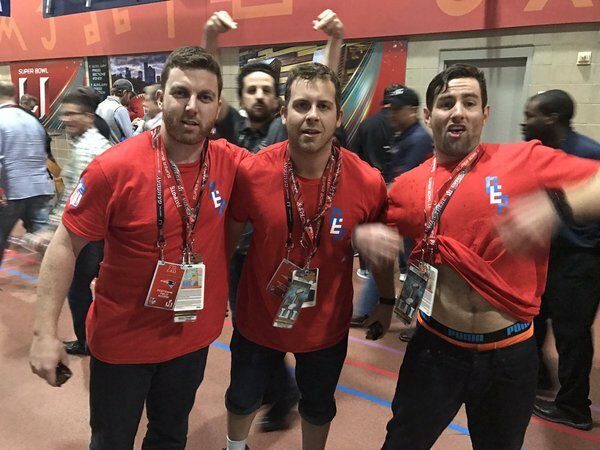 Updates and commentary from Houston.
. @GlobeChadFinn Wouldn't have it any other way, either. 34 thoughts will be coming up soon. Think it was at 71 at one point, and probably three words from the first three quarters made the cut. Dion Lewis: "I'm okay, it's not my knee, I'm going to be okay in about 2 weeks." Martellus Bennett with his little daughter on his lap: "The Super Bowl is cool but this is what I'm most proud of, being a dad." Amendola on Brady: "He’s the leader, the general, the best ever and that is the end of the story." 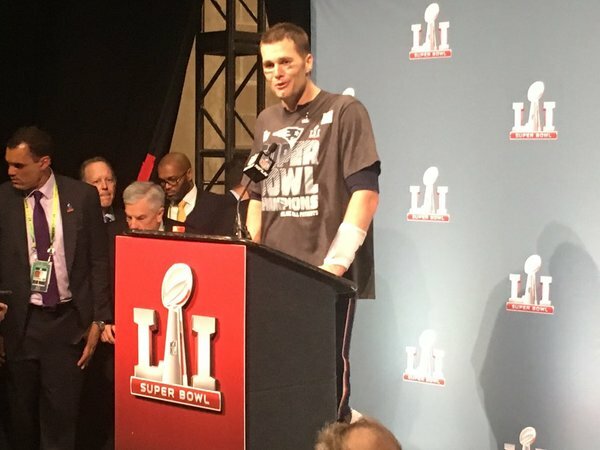 Brady: "We're bringing this sucker home!" Brady: "We're bringing this sucker home!!" Tom Brady: "We're bringing this sucker home!" Robert Kraft: "This is unequivocally the sweetest." Kraft: "A lot has transpired in the past two years. And I don't think that needs any explanation...This is unequivocally the sweetest." 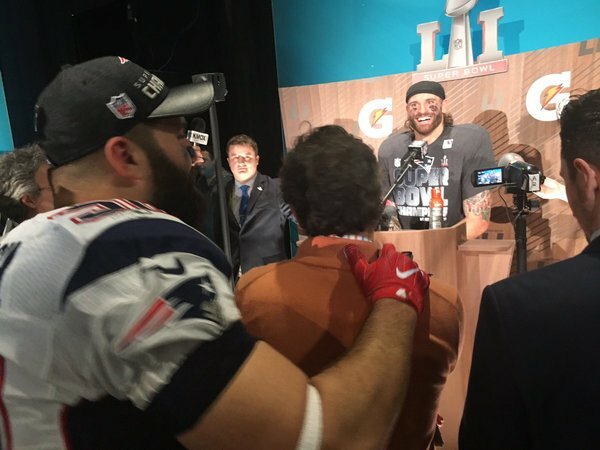 Roger Goodell is getting majorly booed while congratulating the #Patriots . There's still confetti floating around in the air. Just floating, not falling. Not sure how that happens but, hey, add it to the list. 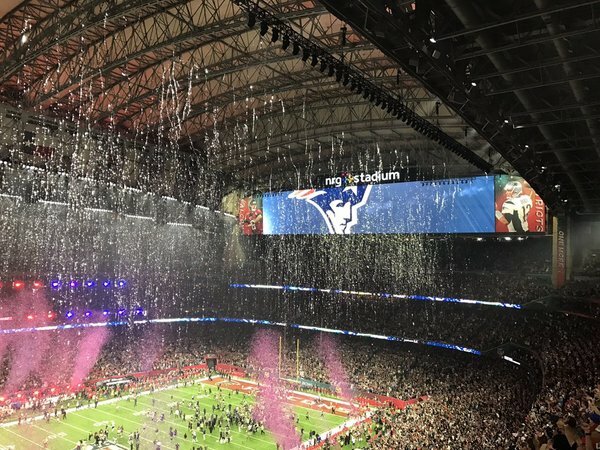 The Patriots just won Super Bowl 51, the first ever Super Bowl to go into overtime. Final: 34-28. The final relevant number: 5.